Trippi’s Uniforms offers a large selection of restaurant apparel and non-skid comfortable footwear. We are accustomed to servicing many local culinary schools and have the stock to prove it. Whether you are in the market for basic cook apparel or fancy executive chef-wear, we have the most impressive selection around. We carry the economic poly/cotton cook shirts, pants, and jackets as well as more comfortable 100% cotton chef-wear. Trippi’s Uniforms is proud to supply the #1 brands in non-skid comfortable footwear as well. 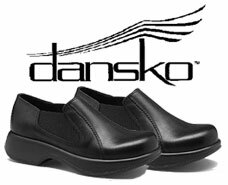 Dansko and Skechers WORK offer a large selection of durable skid and oil resistant shoes at a number of price points, to fit everyone’s budget. We also stock restaurant aprons in a number of different styles and colors. From bistro to café, and everything in between, we have many to choose from. Ask our staff about group discounts and drop shipping options. 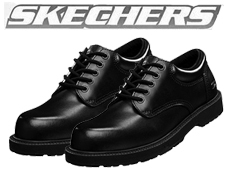 Rotate at least two pairs of quality shoes throughout your work week in order to prevent lower back and knee pain. One of the most noticeable differences between Trippi’s and our competitors is our competent on-site alteration department. We know how valuable each person’s time is, so we offer free alterations---hems and sleeves shortened, often times while you wait. We stock the best range in comfortable non-skid footwear, including the Dansko and Skechers WORK brands, at a number of price points to fit everyone’s budget. We also carry hairnets, hats and restaurant aprons to suit a number of culinary environments.